Eloise read a story and then drew this wonderful map about the book. Persuasive writing - Green eggs and ham are bad to eat. Our learners did some persuasive writing about why green eggs and ham would be bad for us. We used Dr Seuss's book Green Eggs and Ham as our provocation. 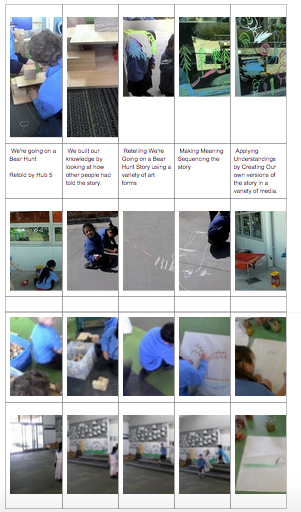 We made meaning by starting our sentences in different ways and adding our own voice to suit the purpose. Firstly green eggs and ham are bad to eat. Secondly I do not like them. Thirdly they are cold to eat. Sam said I do not like green eggs and ham. First green eggs and ham are yucky. Secondly they taste like leaves. Thirdly I don’t like them. Next because they are disgusting. I think have to go to the doctor. They are going to make me sick. I would get a sore tummy if I ate green eggs and ham. First they are bad because they are disgusting and because they are yuck and they are yellow in real life. If I eat green eggs and ham I won’t like it. It will be yucky. I would vomit. I won’t eat it forever. My tummy would feel bad. Firstly green eggs and ham are disgusting because of how they look. Secondly green eggs and ham are bad for you because they are poisonous. Third green eggs and ham are bad for you because they are green. Next green eggs and ham are bad for you because they are smelly. If I eat green eggs and ham I would need to go to hospital. Firstly they are bad because they could be poisonous. Secondly they could look like rubbish. Third it looks like vomit. Next I do not like them because they are yucky. If I ate green eggs and ham I might get sick and die.